In case you haven't seen one of these before, they're great for modestly nursing in public. Mom can peak through the top at baby, while the fabric is tucked in around baby. I LOVE mine. These make great shower gifts if you know the mom is planning on nursing. To make one, you need about a yard of fabric, 12'' of boning (available at sewing stores), 2 D-rings, and all the typical sewing stuff. 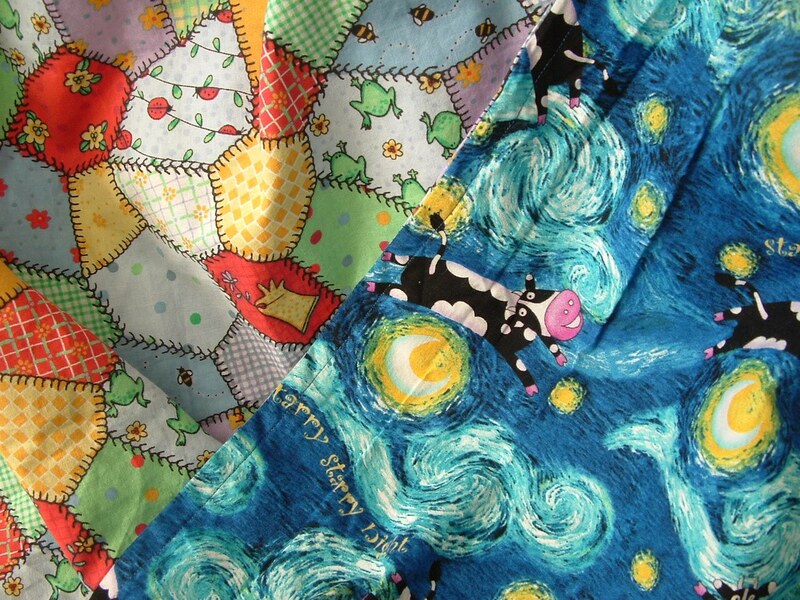 If you want yours to be reversible, then you will want about a yard each of two different fabrics. ...but then I made several mistakes and there are already a lot of tutorials out there for making these types of nursing covers. Instead of a full tutorial, I'll just mention a few things that I've learned making two of these. First, I like mine bigger than most people make them. 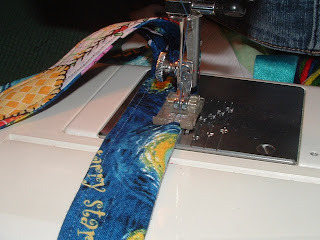 I use the full 45'' width of fabric where several tutorials I saw just called for 36''x22.5'', so you could get 2 covers out of 1 yard of fabric. I get 1 cover out of a little less than a yard of fabric. This one is reversible, so it's double layer. The one I made for myself is single layer. There are advantages and disadvanges to both. It's cute and reversible this way...it's also heavier and baby could get hotter underneath it, so those are things to think about. 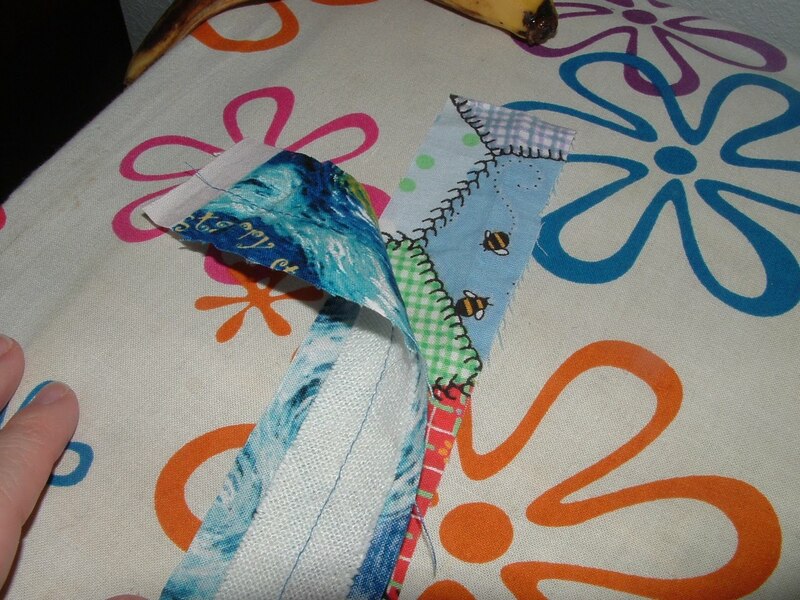 Cut two strips of fabric. The width is going to depend on the size of your D rings. 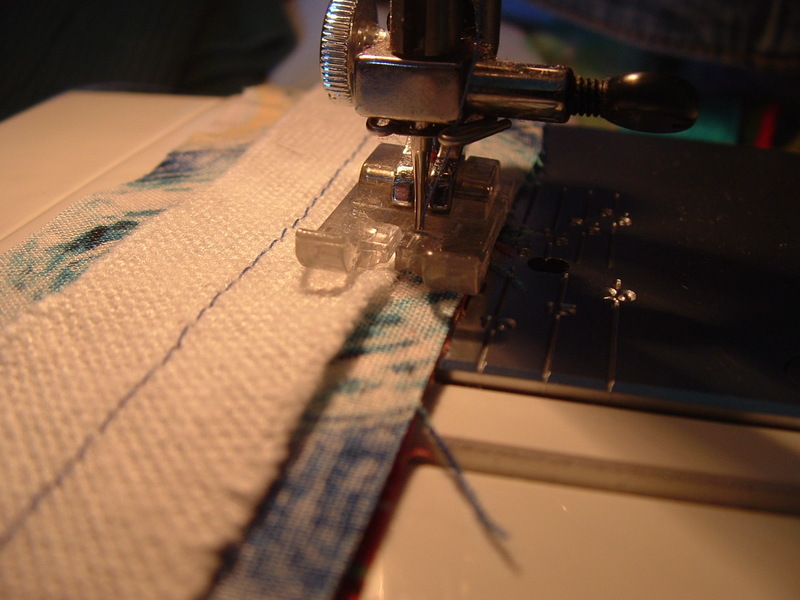 You want it the width of the flat part of the D ring, plus 1/2 inch for seam allowance. 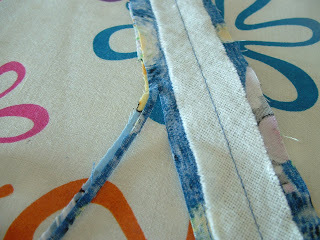 To give the strap added stability, I added some "interfacing." 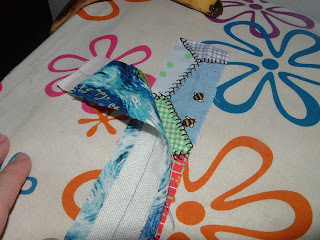 This is actually the guts of an old tie that took apart for another project. I trimmed it to be wide enough to go inside the strap, but not be sewn into the side seams. I sewed one line down the middle to hold it in place. You could remove this stitching when you're finished, but I didn't bother. 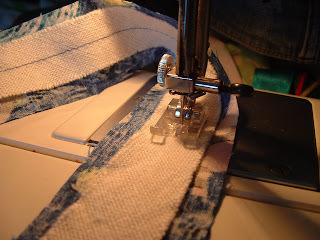 Then layer your interfacing and two fabrics, so that the fabrics are wrong sides together. Turn right side out. 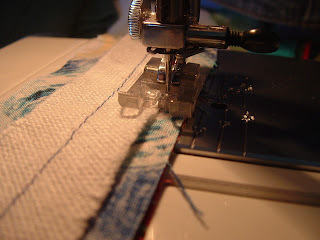 Iron flat and stitch again for decoration and to help it lay straight. 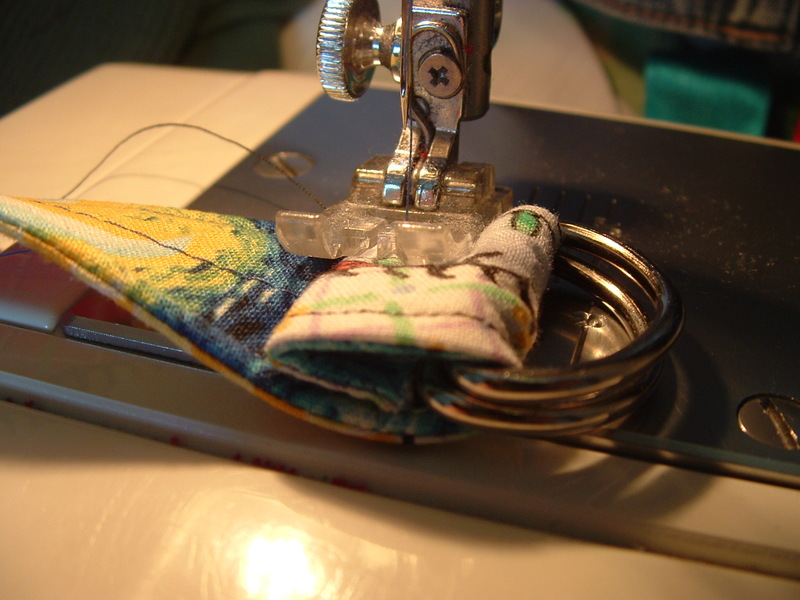 Fold under twice to attach D rings. Sew into the edges of your nursing cover. and it should look like this. It's really easy, and I'll definitely be using it. 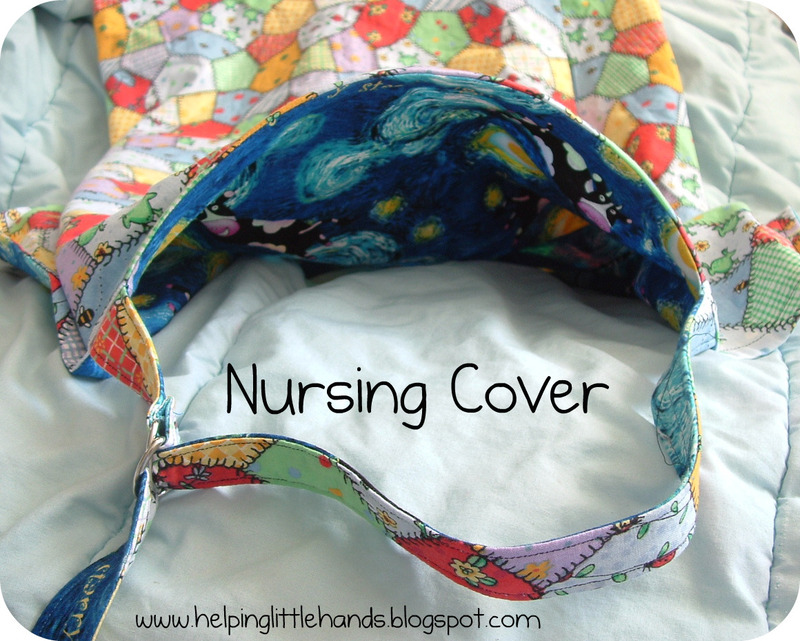 Seriously, these nursing covers are so nice. Okay . . . I just realized I'm not a follower yet. How did that happen? I guess I check back so often on my own that I didn't think about it. Oops! Anyways - great tutorial. I wish I would have had one of these a few years back. 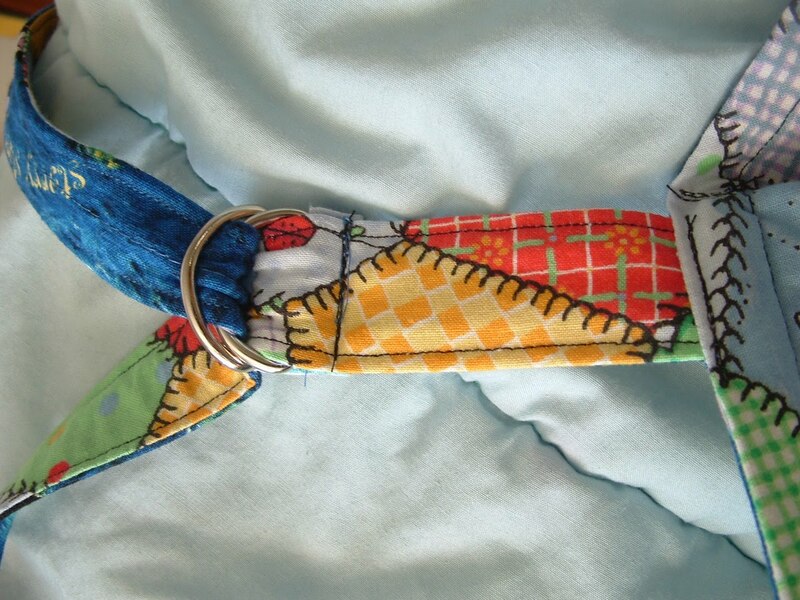 Very handy, but now I can make it for others as a baby shower gift! Great project!! This would make a great present for a new mom! I wish I had one of these when I was nursing. Hi, I love this idea. I had two nursing babies. The first was impossible to nurse in public because he wanted to play peek-a-boo by pulling my top over MY face! ;-> I am now a grandmother and my daughter-in-law has tried unsuccessfully to nurse. Never-the-less, I'd like to make a couple of these as shower gifts. I know this is a strange question, but does anybody have a picture of the proper way to use one so that I can include instructions? Maybe the use is obvious, but I haven't nursed in 13 years! To Anonymous...there's not a particular pattern here. Basically just two rectangles sewn together and the straps. If you want more thorough directions, you I'd try a google search for other blogs.